If you've only got time for just one of the Philippines' tropical destinations, Palawan is it. 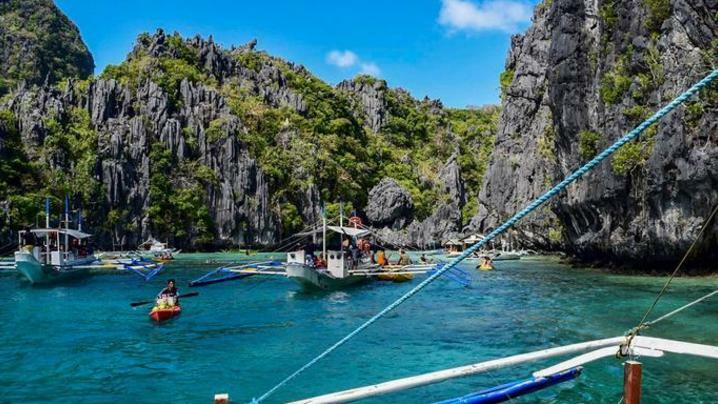 This eight-day tour brings you to the best of the province from El Nido's stunning karst stone formations to its turquoise waters and colourful marine life beyond the ocean's surface. Snorkel above colourful coral reefs, hike the rainforest, and venture through a subterranean river network by boat. But if you prefer a more leisurely pace to your adventures, don't worry. We've left plenty of time for beach bumming too, lounging on remote beach resorts, and cooling off in the waves. Enjoy an included snorkeling tour and beach barbecue.